Microsoft Access is one of the most efficient database management system developed by Microsoft. Complete data in MS Access are stored in the MDB and ACCDB file with file extension .mdb/.accdb depends on the Microsoft Access version. Sometimes if Access is not handled properly, corruption chances increases. The user might not able to access files stored on there system. These were some common errors. Now, coming back to causes MS Access database corruption or corruption issues in Access database. Hardware Failure: Hardware issues affects the database integrity. Microsoft Access is very sensitive towards hardware failure. As a result, if MS Access crashes the jet database immediately terminates. Due to termination of the database, writing is stopped before finishing. This causes MS Access database corruption. Software Conflicts: While using any third party controls for MS Access, one should ensure that these third party controls are from trusted source. If due to any reason these plug-ins crashes, will affect database too. Multi-User Access: While sharing a database with multiple user, jet engine plays a very important role. For sharing files with multiple user Jet engine uses lock files(.ldb) which synchronize read/write database. And these lock files completely depend on Wins OS API call to handle synchronization which depends on file transfer (network) protocols. Multiple transfer of data over the same network may slow down jet communication. Due to slow down or sometime due to network issues it is left to ‘suspect’ mode due to which corruption may occur. Jet engine and MS Access Bugs: Various corruption occurs due to bugs in the software. One of the well known bug is ‘Name Auto Correct’ which despite of solving problem, causes most of the problems which result in Microsoft Access database corruption. Slovenly Database design: Design for multiple user to share data over a network increases extra file size bloating. This resulted lot of pressure on network and which increase the risk of data corruption. To prevent these type of data corruption one should follow some major rules which will help to keep Access database free from corruption. All networking accessories and hard drive should be checked on the regular basis to prevent MS Access corruption. Multi-Users should be restricted as much as possible or one can share database by using split database method which will decrease load on server. No 3rd party plug-ins should be used unnecessary. Access application should be shut down properly. Here, a question arise in mind ‘What if MS Access Database get corrupted?’. How to get cure of it? What are the methods to repair corrupt Access Database? No, need to worry below is the solution. 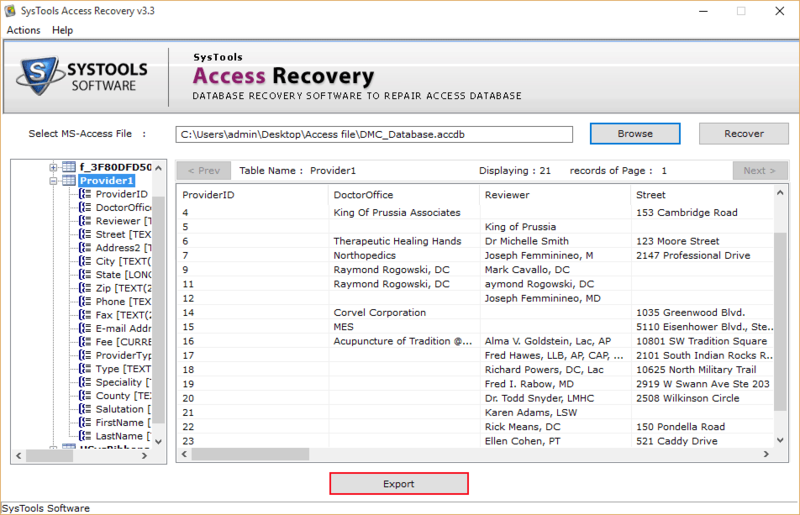 ‘Compact & Repair’ inbuilt MS Access Tool can be used to repair database. Whenever an MS Access database corruption occur firstly user should make a copy of the database. Now, run Compact & Repair command to deal with Microsoft Access database corruption issues. This command can remove minor Microsoft Access database corruption. Sometimes, it fails to combat with major corruption issues. In this case best approach is to repair corrupt access database using 3rd party commercial ware like best access database recovery software built with unique algorithm. Install Access File Repair Tool on Windows OS. 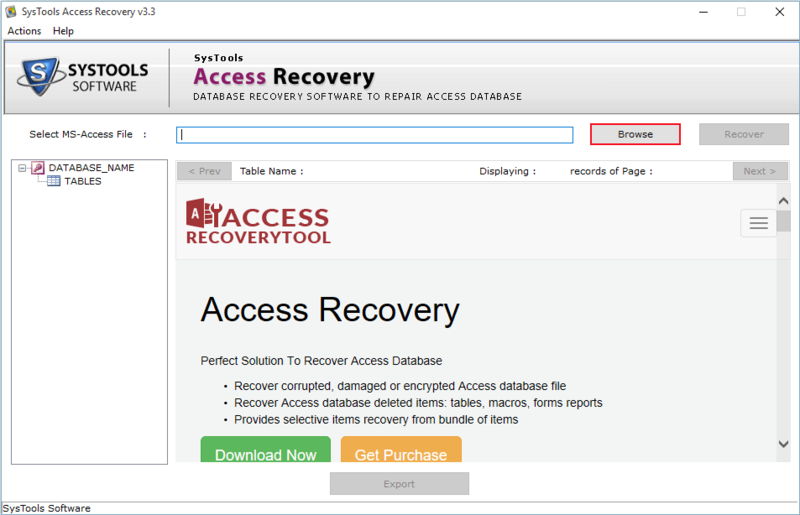 Select Microsoft Access file you need to repair by clicking on Browse button. 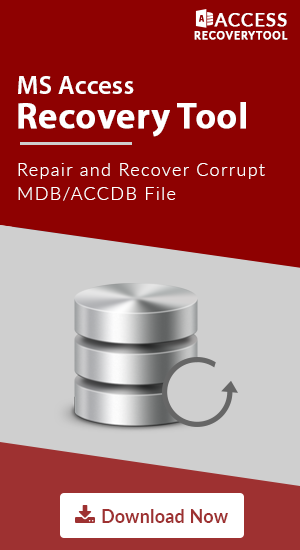 Both MDB and ACCDB file can be selected to repair. Click on Recover button and Scanning of corrupt file starts. 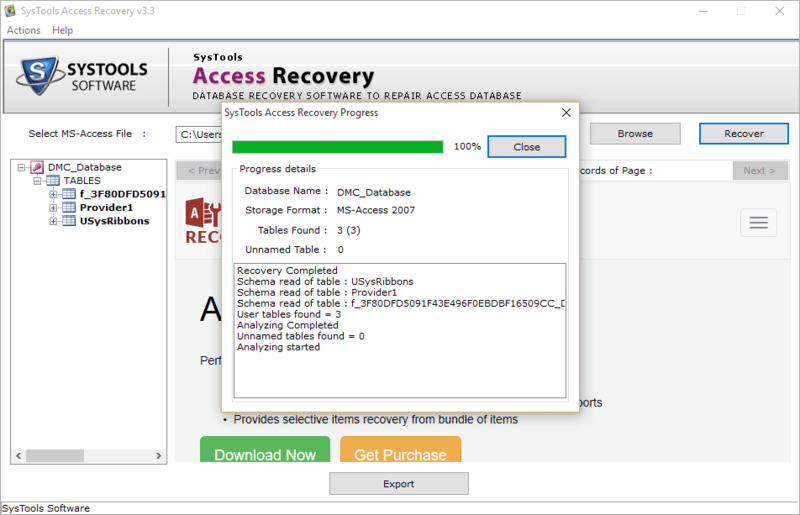 One can view live recovery process, progress report. After recovery process completes, whole recovered data can be visible. 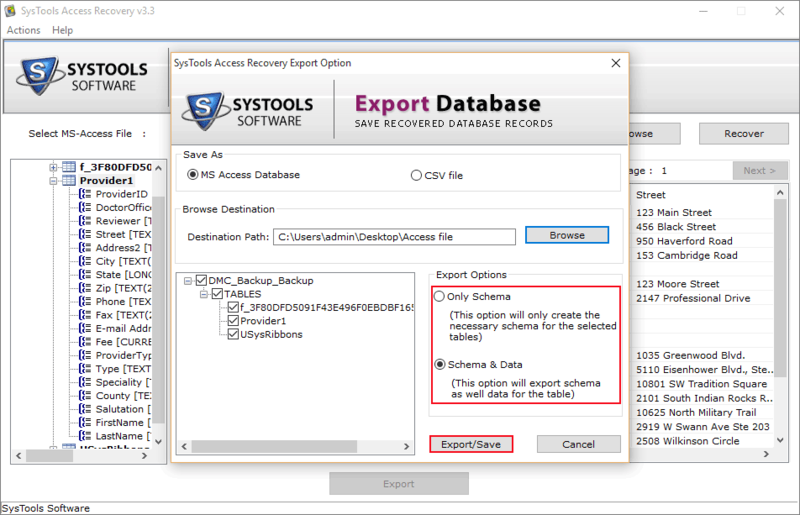 Now click on Export to save and export the recovered data. Export and save option to Save the Schema With Data or save only Schema. No wonder Microsoft Access is stout, but still prone to corruption. From above, you get to know about causes of Microsoft Access database corruption issues, its prevention and solutions. So, before sending data to some data repairing firm or calling Microsoft Experts and paying them lot of money user could repair there database file by themselves.